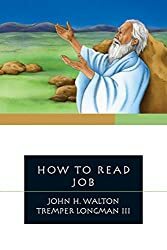 I received a review copy of John Walton’s and Tremper Longman’s How to Read Job from IVP this week. This continues an already fruitful series by Tremper and IVP on How to Read various biblical books: see How to Read the Psalms, How to Read Proverbs, How to Read Genesis, and How to Read Exodus. I confess this is the first of this series that I’ve really looked at, but I’ve been impressed. I am easily tired by commentaries and other works that seem to miss the big picture or that bury the answers to the questions that I am most interested in under a mountain of details. 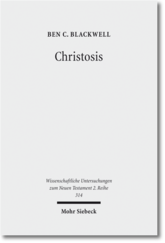 The book is separated into 4 parts: 1) Reading Job as Literature; 2) Getting to Know the Characters of Job; 3) The Theological Message of Job; and 4) Reading Job as a Christian. Spread evenly between the four parts are 20 chapters that discuss a range of issues from the high level to specific interpretive and topical issues. For example, chap 1: ‘What is the book of Job about?’, chap 6: ‘Who is “Satan” in Job?’, chap 11: ‘The retribution principle and theodicy in Job’, or chap 20: ‘Applying the book of Job’. The layout and topics will be helpful to those teaching/preaching the book and to students who want to engage the main ideas in the text. Though not a fully academic monograph, the footnotes engage a wide range of literature that will help students understand key issues. For instance, along with commentaries they cite a range of dictionary articles, essays, and monographs, as well as other ancient texts. 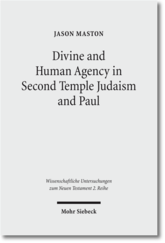 For instance, in the chapter on Satan they mention Second Temple texts (like 1 Enoch) that set the stage for wider conceptions. I’m definitely intrigued by the book and the series. It seems to fall into a similar category of integration along with the T&T Clark Study Guides and the Cambridge New Testament Theology Series. I really like those too, so I’m sure I’m predisposed to like this series as well. If He (the Creator) made all things freely, and by His own power, and arranged and finished them, and His will is the substance of all things, then He is discovered to be the one only God who created all things, who alone is Omnipotent, and who is the only Father rounding and forming all things, visible and invisible, such as may be perceived by our senses and such as cannot, heavenly and earthly, “by the word of His power;” and He has fitted and arranged all things by His wisdom, while He contains all things, but He Himself can be contained by no one: He is the Former, He the Builder, He the Discoverer, He the Creator, He the Lord of all; and there is no one besides Him, or above Him. Thus, Christ’s work of salvation is a fulfillment of the original intention of creation and in God’s covenanting work with the Jews. The same God is working it all out–not merely judgment and then love, or a mistake and then its solution. We see both love and judgment in both the OT and NT. Baker Academic Blog has posted some videos by Greg Beale describing his Handbook on the New Testament Use of the Old Testament. The videos are good summaries of the book and how Beale thinks it can be used. For my review of the book see here. Baker Academic kindly provided me with a copy of Greg Beale’s recent Handbook of the New Testament Use of the Old Testament: Exegesis and Interpretation. Beale is well-known for his studies of how the OT is used in the NT. 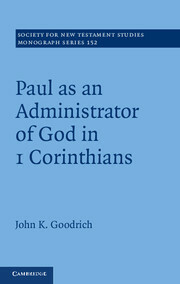 This book provides the method behind the Commentary on the New Testament Use of the Old Testament which he edited with D.A. Carson (see also his A New Testament Biblical Theology: The Unfolding of the Old Testament in the New). Consistent with the title, the book functions more as a primer to the issues than a technical assessment. 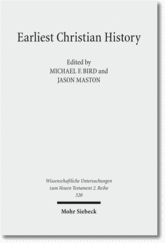 Chapter 1 addresses several current debates about the use of the OT in the NT. Beale does not present full argumentation for his views, but rather introduces a topic and then states his position. He is particularly concerned to demonstrate that the NT authors read the OT within its context (which eventually is clarified to be the literary context). He also spends some time discussing ‘typology’. Chapter 2 deals with how to identify quotations and allusions. Beale notes briefly Richard Hay’s method of identifying allusions and the critiques offered by Stanley Porter. In the second half of the chapter Beale highlights key sources to help with identifying allusions (e.g., NA27, commentaries). Identify the OT reference. Is it a quotation or allusion? If it is an allusion, then there must be validation that it is an allusion, judging by the criteria discussed in the preceding chapter. Analyze the broad NT context where the OT reference occurs. Analyse the OT context both broadly and immediately, especially thoroughly interpreting the paragraph in which the quotation or allusion occurs. Survey the use of the OT text in early and late Judaism that might be of relevance to the NT appropriation of the OT text. Compare the texts (including their textual variants): NT, LXX, MT, and targums, early Jewish citations (DSS, the Pseudepigrapha, Josephus, Phiilo). Underline or color-code the various differences. Analyze the author’s interpretative (hermeneutical) use of the OT. 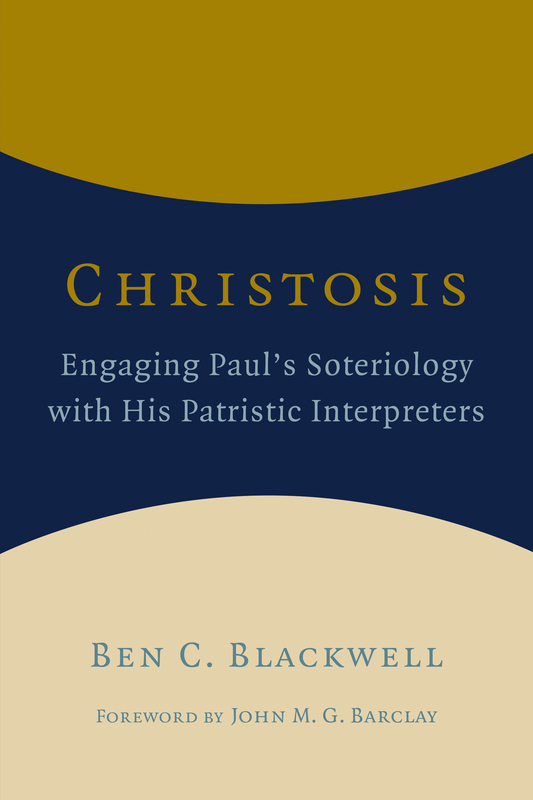 Analyze the author’s theological use of the OT. Analyze the author’s rhetorical use of the OT. Although considered the core of the book, I’m somewhat disappointed with this chapter. First, I’m struggling to see what is different or profound about this approach than just teaching someone to be a good reader. Second, I’m wary of ‘step’ approaches. They give the impression that if someone simply does each step then he will arrive at the right interpretation. I realise that Beale will be aware of this, but students often think that if they simply follow the steps they will get things right and thus get a good grade. They are shocked when I say back, ‘Well yes you followed the steps, but you didn’t realise that there is more to it than just plugging in the right material’. Anyway, I think the approach offered by Beale is good, but it could use some slight refinement. Chapters 4–6 take up specific steps from Beale’s nine-step method. Chapter 4 develops step 7 by categorising the primary ways that the NT uses the OT. Although Beale views chapter 3 as the core, primarily because it outlines a method, I found this chapter to be more interesting and potentially useful. Beale provides some 12 main ways in which the NT author’s interpret the OT, such as ‘direct fulfillment’; ‘indirect fulfillment of OT typological prophecy’; ‘symbolic’; ‘ironic’. He is careful not to make every use of the OT fit into one of the categories as he acknowledges both that he is offering only key categories and that there is overlap. Although I doubt that any nomenclature will ever be universally adopted, his attempt here at least provides a focal point around which scholars could work even if someone opts for a different label. There is the apparent assumption of corporate solidarity or representation. In the light of corporate solidarity or representation, Christ as the Messiah is viewed as representing the true Israel of the OT and the true Israel—Church—in the NT. History is unified by a wise and sovereign plan so that the earlier parts are designed to correspond and point to the later parts. The age of eschatological fulfillment has come in Christ. As a consequence of the preceding presuppositions, it follows that the later parts of biblical history function as the broader context for interpreting earlier parts because they all have the same, ultimate divine author who inspires the various human authors. One deduction form this premise is that Christ is the goal toward which the OT pointed and is the end-time center of redemptive history, which is the key for interpreting the earlier portions of the OT and its promises. Chapter 7 is a case study of the use of Isaiah 22.22 in Revelation 3.7. The volume ends with a ‘Select Bibliography on the New Testament Use of the Old’. The bibliography is somewhat dated and lacks direction at a number of points (e.g. General Epistles). In general, I think this book can be helpful for students, but a few cautions would be in order. In addition to what I said about chapter 3, I would also add two other points. First, I was disappointed in the way that Beale handled the Jewish literature. Although Chapter 6 has the title ‘Relevance of the Jewish Backgrounds …’ Beale seems to keep the Jewish literature at some distance. He doesn’t actually show a student why this literature matters. I think that more careful attention to how the contemporary Jewish authors read the OT will help us better understand the NT authors as engaging in interpretative debates about the text. At times we will see that their readings match one segment of Judaism and disagree with other segments. Also, more careful attention to the Jewish literature will help us see where the presuppositions of the NT authors (particularly with regard to their understanding of Jesus as the Christ) have reshaped the way they read a text. Second, I would have liked to see Beale address in more depth some of the problem texts like Rom 10.6–8 or Christ as the rock in 1 Cor 10.4. Hebrews is also poorly represented in the book which is surprising given the way in which scripture drives the argument. I realise that the volume is a handbook and cannot address every appearance of the OT in the NT, but problem passages of these kind are the ones that students do ask about. Emanuel Tov is hanging out in Houston this autumn, and he’s offered to give a lecture at Houston Baptist University on ‘The Biblical Manuscripts among the Dead Sea Scrolls’. It’s on October 22, 2012 at 7 pm in Belin Chapel. Come join us. Also, if you don’t have anything better to do, he’s running a Hebrew reading group on Friday afternoons at the Lanier Theological Library.